The City Center Gallery is returning! They are currently accepting entries for an exhibition entitled “Surthrive in the Heartland.” Entries must be inspired by one of the 25 plants on the green roof of Lazarus Building and how they have survived and thrived. Artists must be from the Columbus area. Applications due July 8th. For more information, visit http://uas.osu.edu/citycenter. Important: Fellowship Opportunity for Members!! 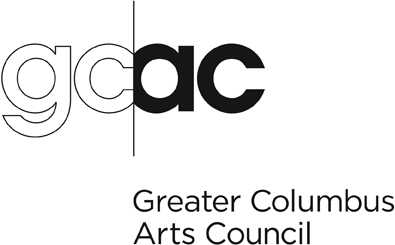 The Greater Columbus Art Council (GCAC), in partnership with the Columbus Museum of Art (CMA), is currently accepting applications for its 2013 Visual Arts Fellowships! Applications are due on June 28th at 5:00 PM! Michael O’ Sullivan, Art Critic for the Washington Post, will be serving as juror for the Mid-Atlantic Juried Exhibition. 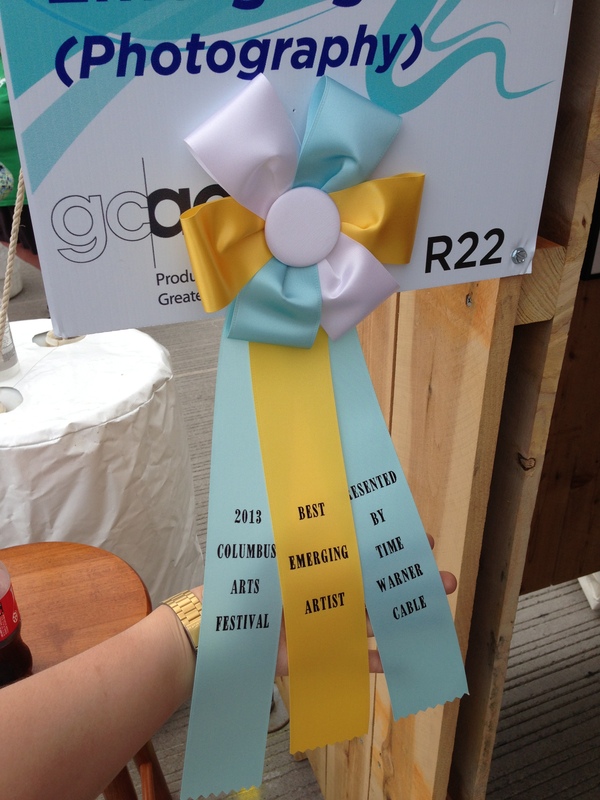 Deadline for entries is July 27th!! Throughout history and across the world, the word ‘land’ has ranged in its connotations to connect with political and economic concepts, as well as emotional and romantic ones. Some of these connections include ethnic or national identity, environmentalism, wealth and ownership, revolution and redistribution, food politics, ideas of home and community, inclusion and exclusion, and of course nature and physical earth itself. From landscape paintings to installations of soil and grass, WMG solicits work by artists of all genders working in all media for this exhibition. Online Entries Submit jpgs of up to three of your works on our website. Mailed Entries Mail a cd with jpg images of up to three of your works, completed entry form, and a $30 entry fee to Woman Made Gallery, 685 N. Milwaukee Ave., Chicago, IL 60642. Heidi Norton received her BFA from University of Maryland and her MFA from the School of the Art Institute of Chicago. Her work is in the permanent collections of the Art Institute of Chicago, the Midwest Photography Project Museum of Contemporary Photography, and the Joyce Foundation. Norton is a professor of photography at the School of the Art Institute of Chicago and Northwestern University. Visit www.heidi-norton.com. Woman Made Gallery is a tax-exempt, not-for-profit organization founded in 1992. Its goal is to support women in the arts by providing opportunities, awareness and advocacy. It specifically accomplishes this through exhibitions which raise public awareness and recognition of women’s cultural contributions. Congratulations to our member Frank Kozarich! 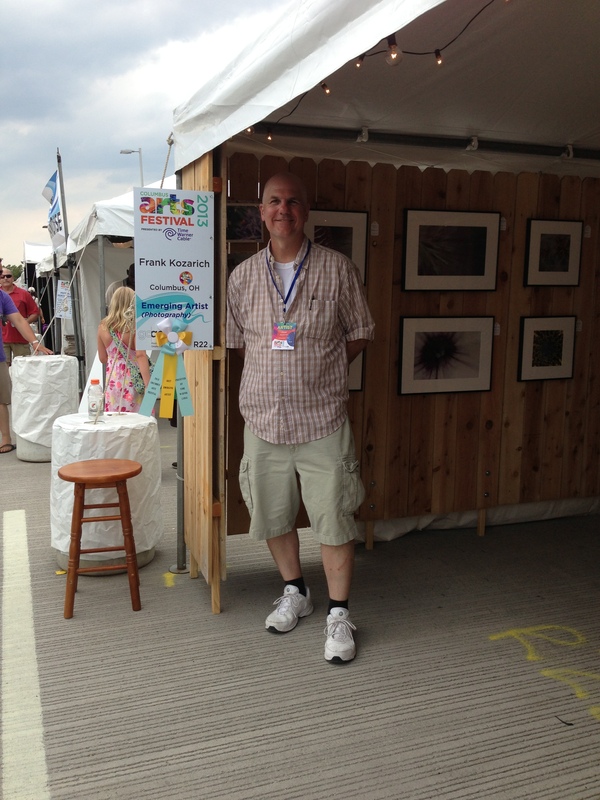 Congratulations to our member Frank Kozarich for receiving the award of Best Emerging Artist of the Year 2013 at the Columbus Arts Fest! If you’d like to see more of Frank’s work, you can visit his website at http://kozavision.com/. 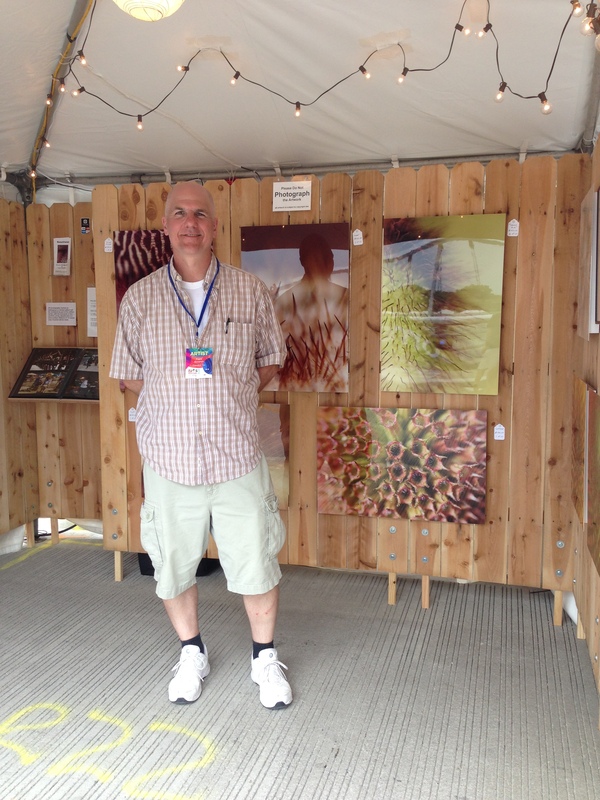 He will also be having an exhibition at Port Columbus Jan. 6, 2014 -April 7, 2014. Joan Tallan, one of our members, will be exhibiting her prints with another artist’s pots at Galeria Evangelica. The opening reception is Saturday, July 27th from 7 to 9, so go out and support one of our members!